I've gotten quite a lot of pleasure and use from my XL's. These two are an XL modification made by my friend Chester Burton. This SuperWide with tilt and shift was made by the late Mr. Hugh Babb. 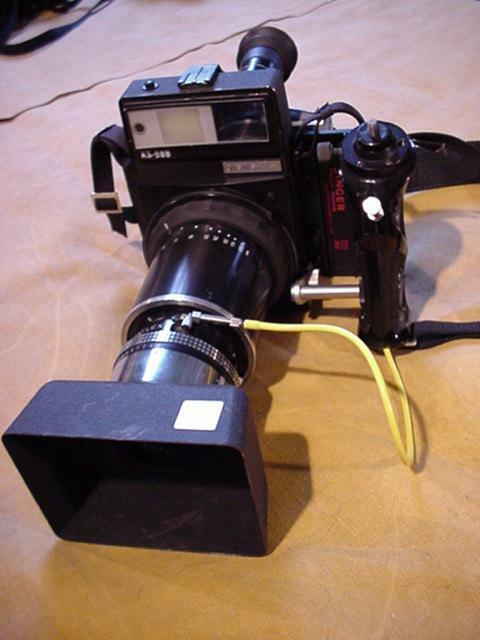 The lens is in a pivoting knuckle mount, and the back allows quick use of ground glass. 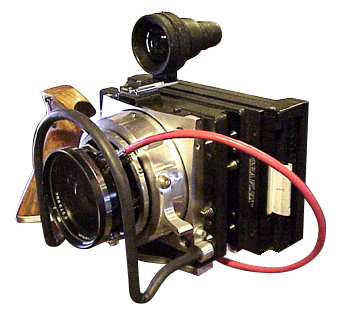 Note the aluminum replacement focus rings on most of these cameras, as in the following image, which is a Super-Wide with a spacer and a Grandagon 58mm lens with a Brooks back. 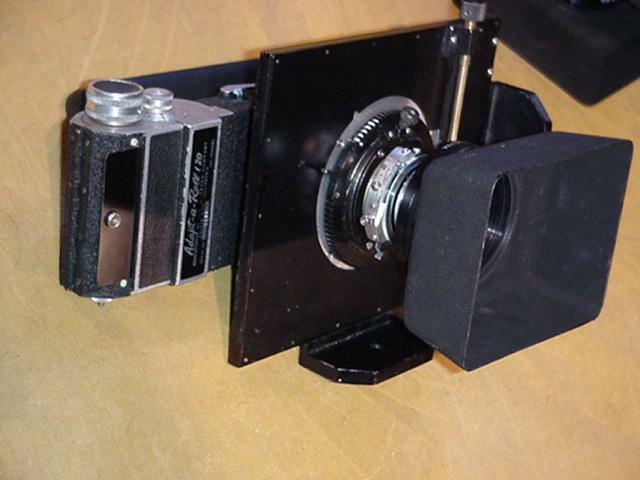 These are photos of my XL-based cameras I have made from found parts. 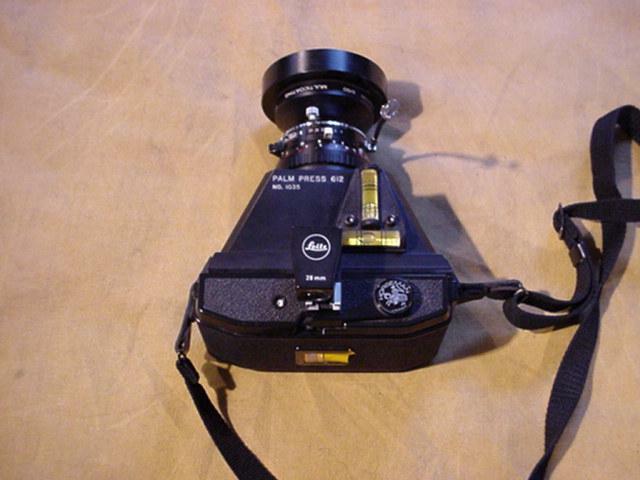 This is an XL with a 65mm Schneider lens with a Schneider focus mount. 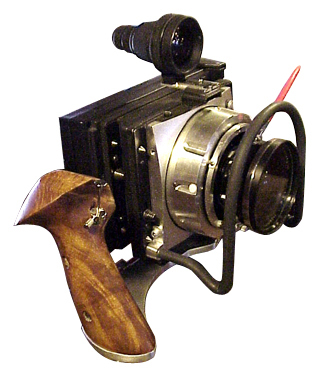 Note the roll holder back; it is a Graflex factory prototype of a manual and motorized advance back initialed by Johan Padelt, the XL's designer. 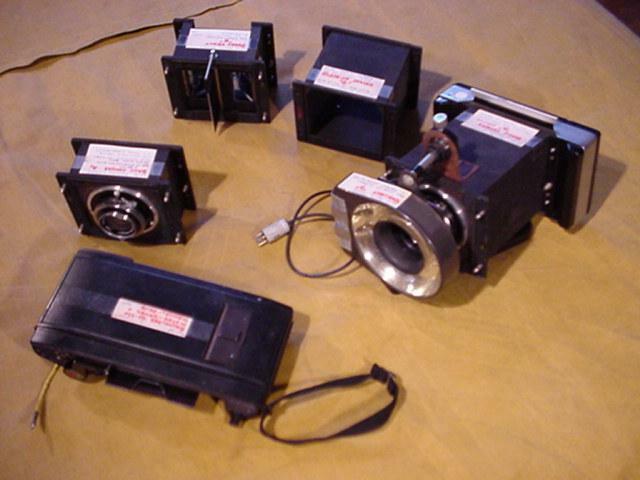 This shows the Graflex factory prototype "XL Dental Camera" with stereo attachment and strobe halo light, and another view of motorized back. I have factory drawings and photos of the dental camera also. 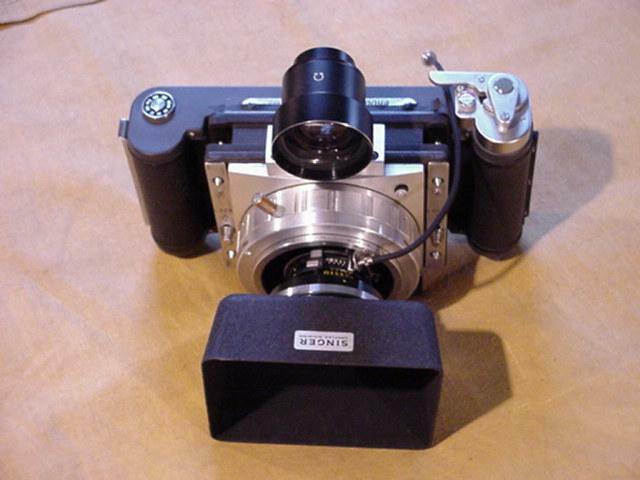 This is a front view of the tilt-shift camera, showing XL shade, 47mm Schneider Super Angulon, worm-screw shift knobs, and a flat body containing a movable lensboard. This is the Adapt-a-Roll roll-film holder that fits XL system ground glass back. 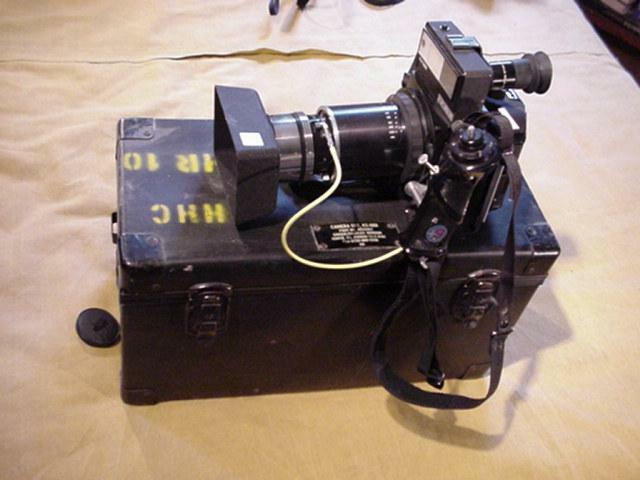 This is a photo of my my mint, cased, Vietnam-era Military XL outfit, wearing 180 Zeiss Sonnar,and optical eyepiece to extend the finder beyond the roll film back. It sits atop a military case. 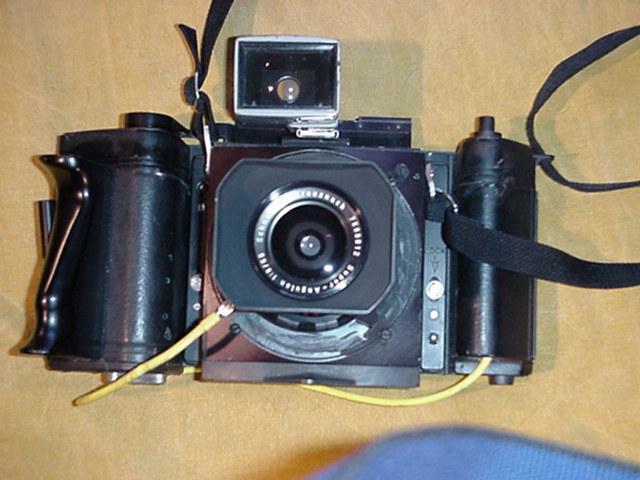 This is a more frontal view of the same camera. 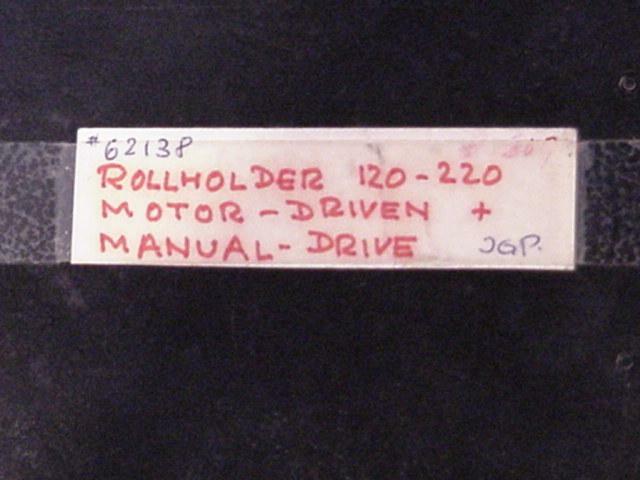 This is the label on the back of the amazing XL back under development when Graflex folded. It was written and initialed by Johan Padelt, the XL systems designer. 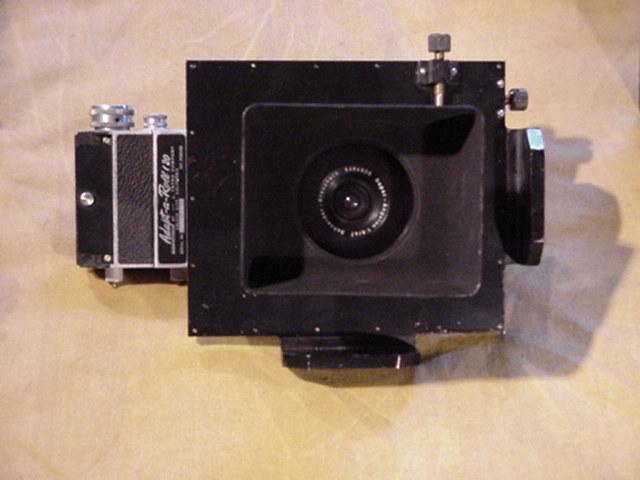 This is my a non-Graflex camera, a Palm Press "banquet camera." It uses a 90mm Super Angulon and 6x12 Horseman back. It is a screaming panorama camera! Mr. Chester Burton, a very good friend and perhaps the best craftsman I know. Back to Articles Brought to you by Graflex.org.